Telugu welcomed Tamil with open arms at the audio launch of 7th Sense starring Surya and Shruti Hassan. Harris Jayaraja has provided the music for the movie, which was a treat for the ears. 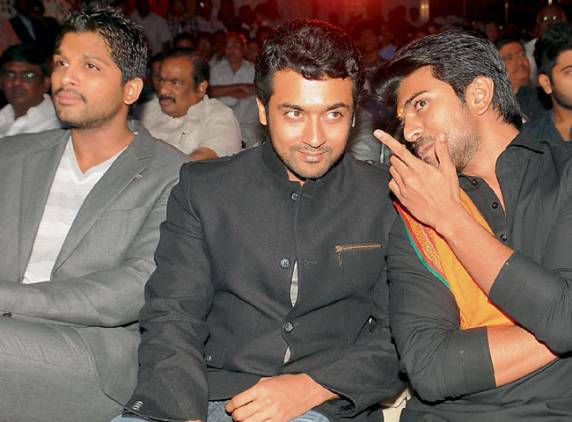 The audio launch saw the cream of Telugu cinema come to support Surya, Murugadoss, and Shruti for the movie. The launch saw personalities like Rajamouli, Ram Charan, Allu Arvind, Allu Arjun, and Nikitha wish them luck for the movie. 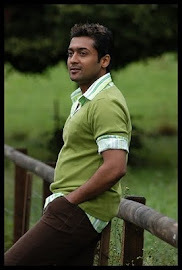 Apart from this, Karthi was also seen accompanying Surya in high spirits. Harris Jayaraja was all happy and mentioned that the movie was made with a very unique sensibility unlike what audiences have seen before. Being a sci-fi, the music had to be different and not like what he regularly produces. After the audio being a hit, the expectations for the movie have gone up and people are looking forward to the release. Surya was seen being very friendly with Ram Charan Tej and Allu Arjun, showing the close bonding between the stars.